THE FACTS – Last July 31st, OFRANEH Coordinator Miriam Miranda and defenders Madeline Martina David, Neny Heydy Ávila and Letty Bernárez, of the same organization, received a citation in a case brought against them for the alleged offense of slander and libel against the entrepreneur Patrick Daniel Forseth. The charges are part of the ongoing conflict that OFRANEH has with Patrick Daniel Forseth and Randy Jorgensen, who seized lands belonging to Garifuna communities through unlawful transactions to exploit them for the development of tourism schemes. Let us bear in mind that in November of 2016, as part of this same conflict, defender Madeline Martina David was arbitrarily arrested with excessive use of force and criminalized before finally being acquitted of all charges. 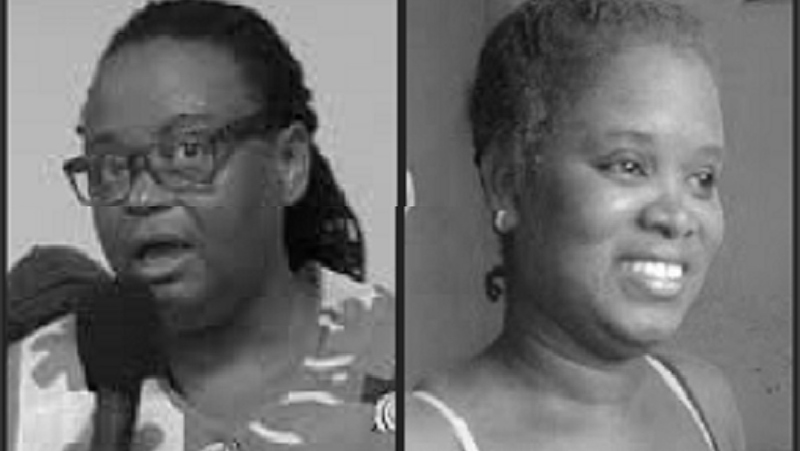 Miriam Miranda has also been the target of many different kinds of attacks due to her internationally recognized work in defense of the rights of the Garifuna people. 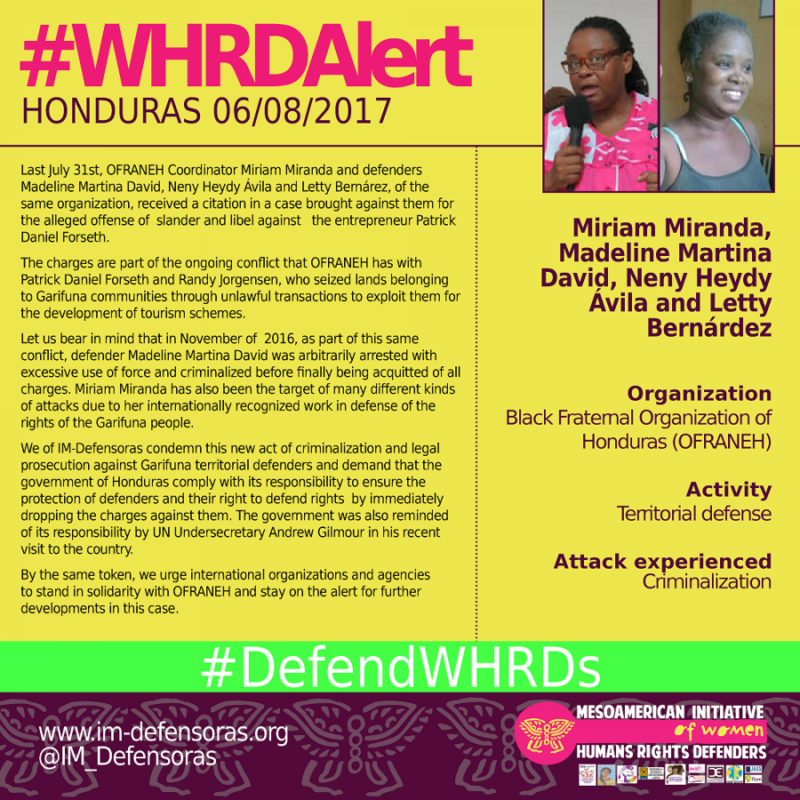 We of IM-Defensoras condemn this new act of criminalization and legal prosecution against Garifuna territorial defenders and demand that the government of Honduras comply with its responsibility to ensure the protection of defenders and their right to defend rights by immediately dropping the charges against them. The government was also reminded of its responsibility by UN Undersecretary Andrew Gilmour in his recent visit to the country. By the same token, we urge international organizations and agencies to stand in solidarity with OFRANEH and stay on the alert for further developments in this case.